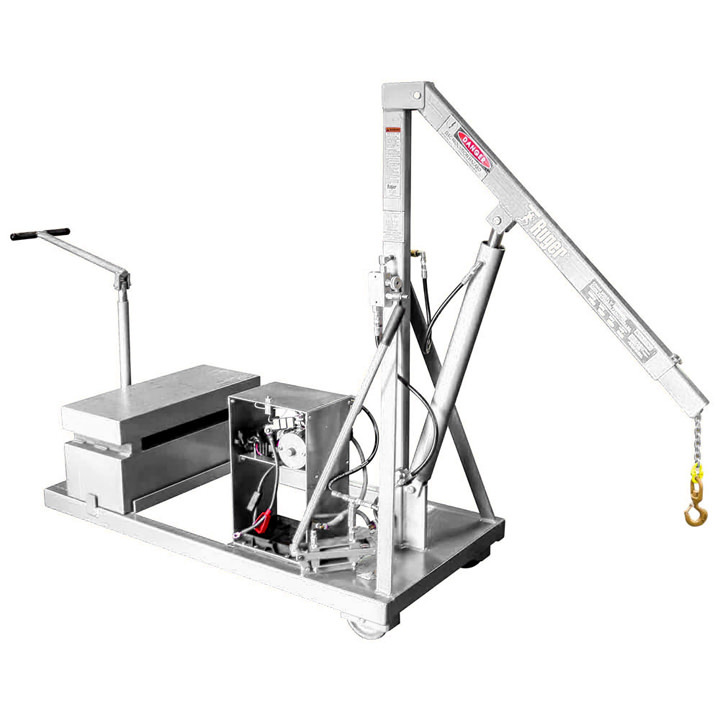 Ruger Industries manufactures a complete line of portable stainless steel manual floor cranes (also known as engine cranes) that lift heavy loads via hand-pumped hydraulics. Many companies find them more efficient and safer than traditional lift trucks at handling heavy loads. 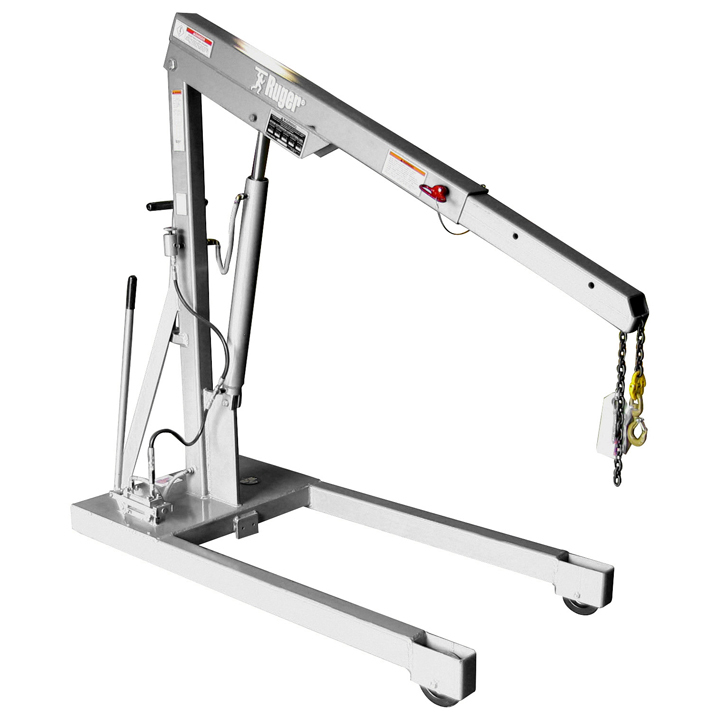 Adjustable leg straddle floor cranes feature adjustable legs that swing out to accommodate bigger loads. 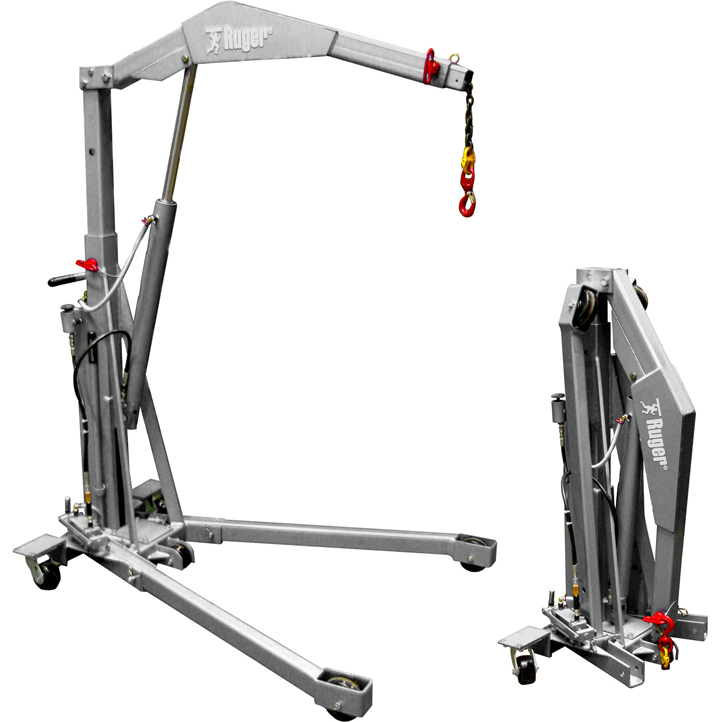 Pivot boom straddle floor cranes have an outrigger boom that swings 90 degrees with the load. 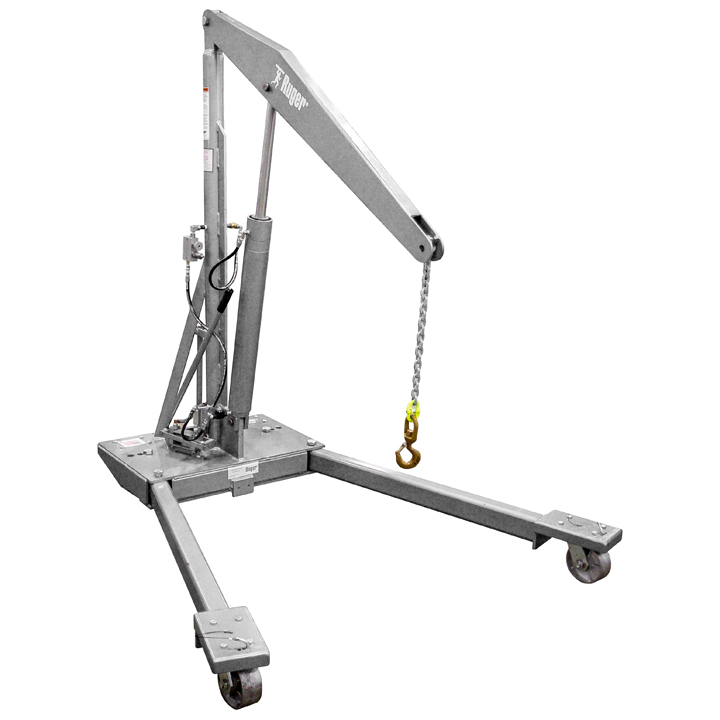 Reverse counterbalanced floor cranes are designed to allow the unit to avoid obstacles that could be a problem for straddle leg units. In addition, they are engineered to provide easy access to wide loads. Heavy duty floor cranes feature a wide range of capacities to meet your most challenging load lifting needs. Ruger Industries is the industry leader in high quality stainless steel manual floor cranes. 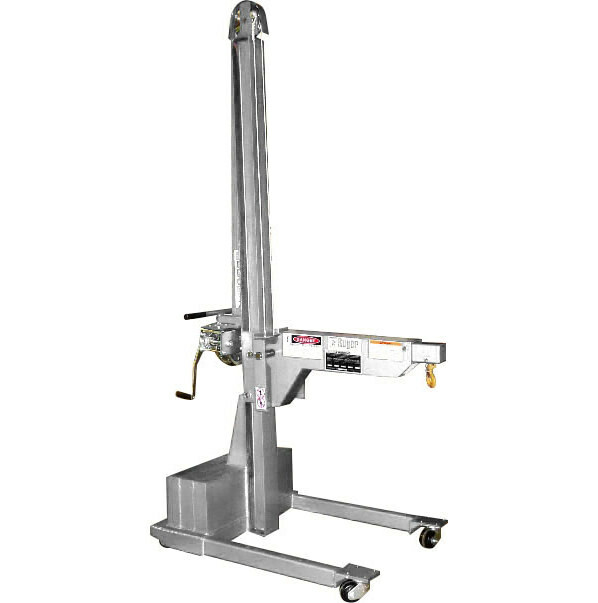 Built for ease of use and maximum trouble-free operation, you can depend upon Ruger stainless steel manual floor cranes. All David Round and Ruger Industries products are made in the U.S.A.